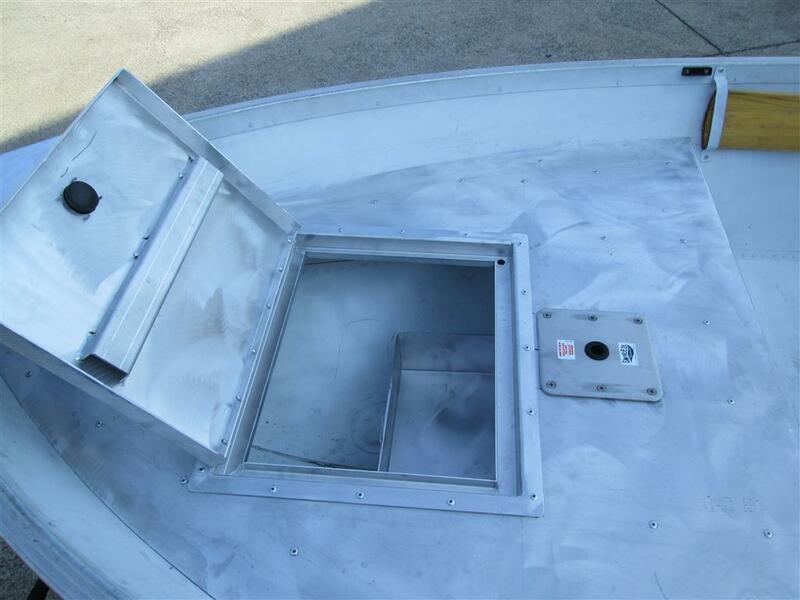 Whether you want to add new storage compartments in your boat, or simply need to replace damaged or worn out fiberglass hatch lids, FishOn Fabrications can help. 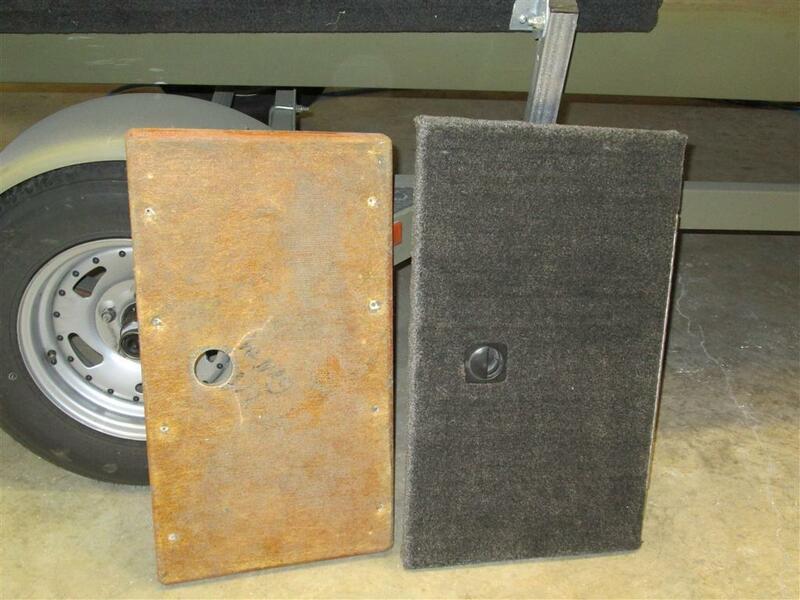 This is the simplest and most effective method of adding storage to an existing hull. 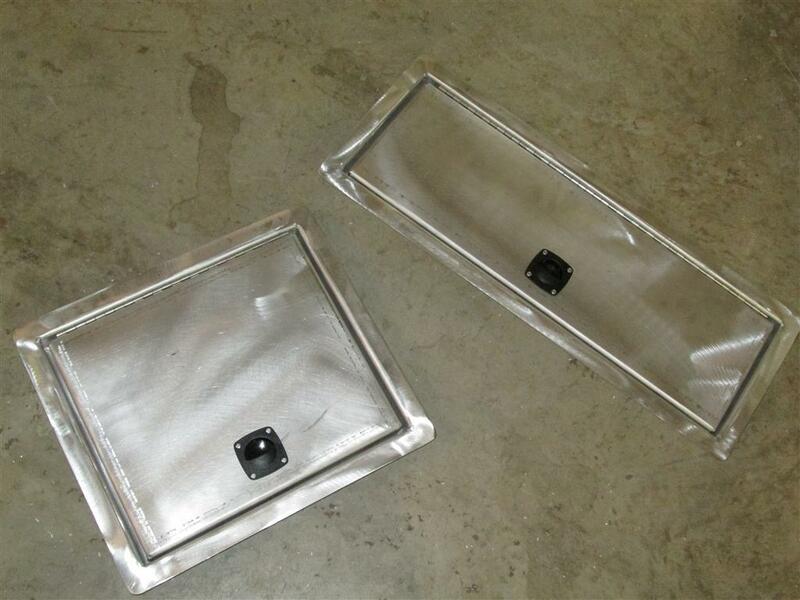 Simply cut a hole in your boat deck or bench seat, then drop in, and fasten down the lid assembly. 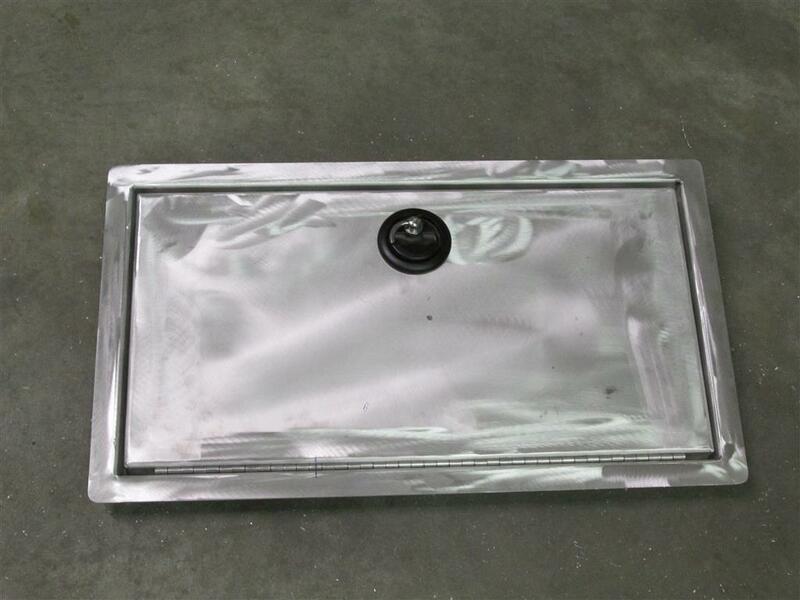 These lids can be supplied with a simple plastic lift pull, or a secure locking latch. If your boat already has latches, we can precut the lid to match your existing latches, allowing you to easily install matching units. 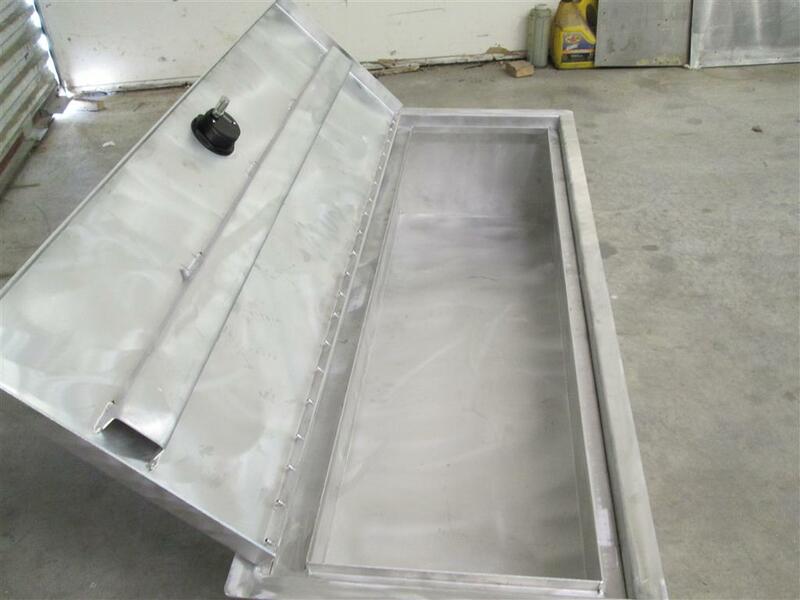 Larger hatches have a durable stiffener welded underneath the lid. This ensures that the lid will never flex or sag, even under the heaviest of coanglers. 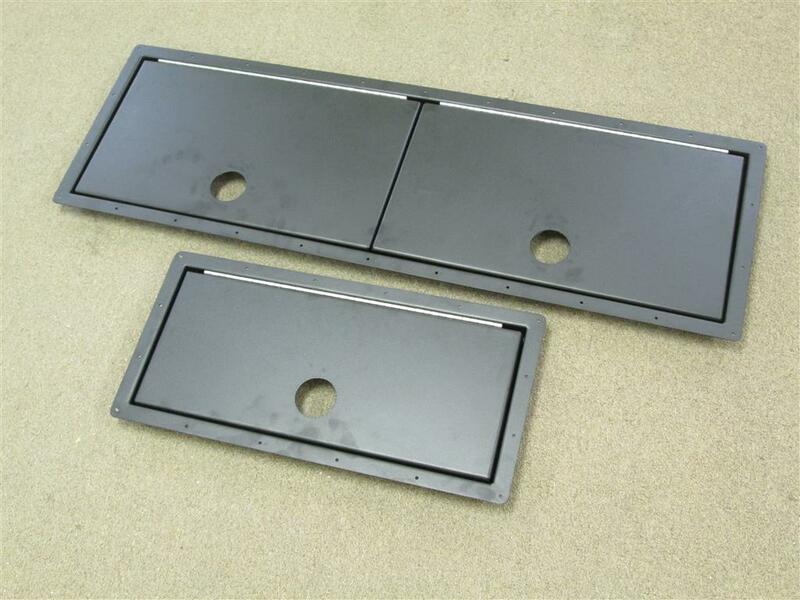 Lids can be mounted both in horizontal deck surfaces and vertical bulkheads. These can also be built with multiple lids in one assembly. This works very well when building your own deck extension. 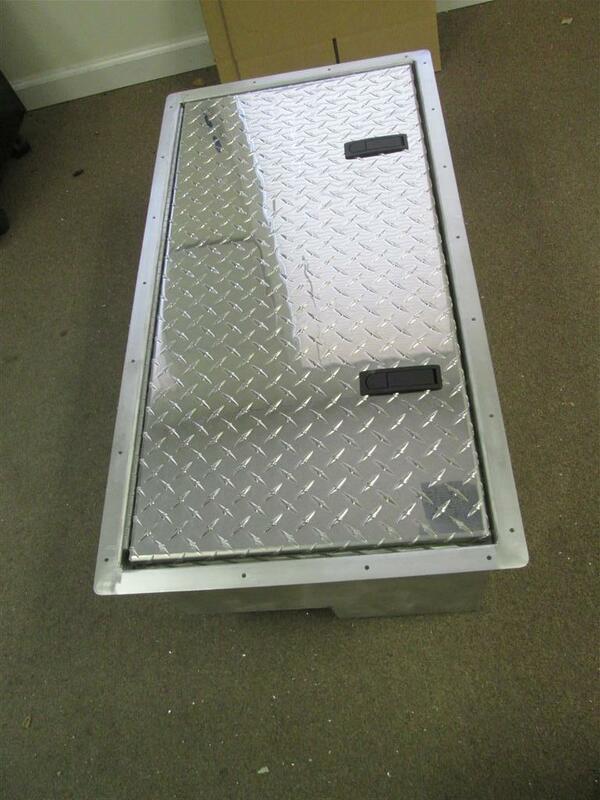 These lids can be built in any size up to 9 1/2 feet long. Powder coating is an option (color limitations apply). 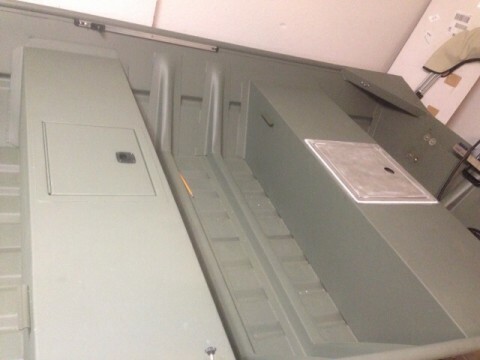 Shown here are two hatches installed in a 1444 Weldcraft. With the addition of some touch up paint, the addition looks factory, and provides some much needed storage to a bare bones hull. Custom 'off the edge' lids can also be built. 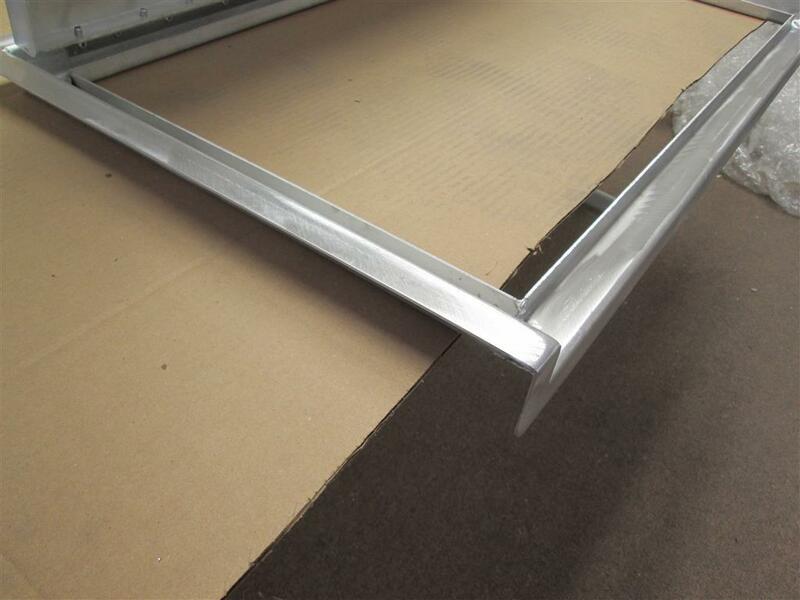 This allows mounting flush to the edge of a deck. 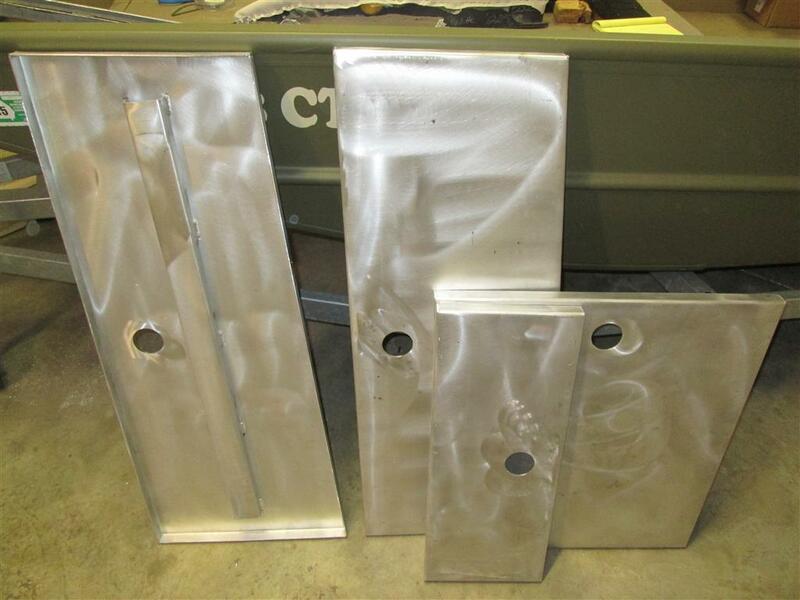 We can also fabricate full dry box assemblies. 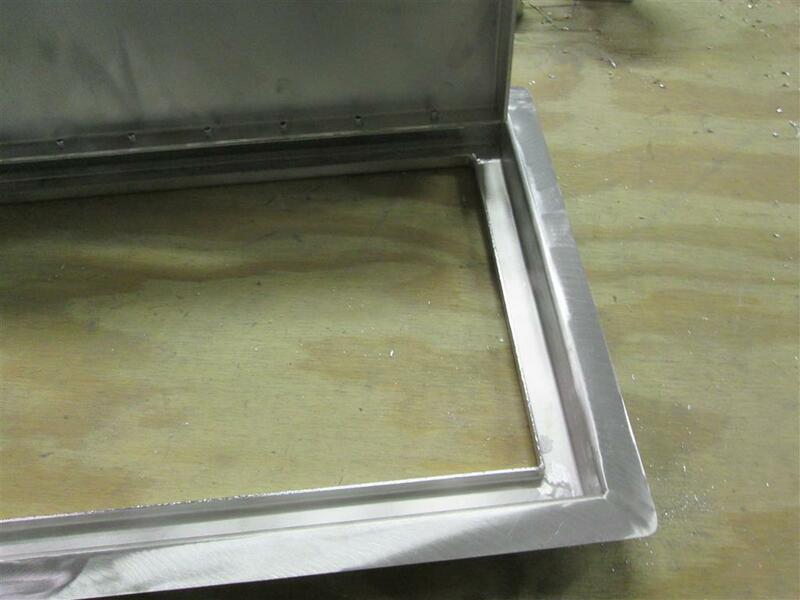 Instead of your new lid opening into the bottom of the boat, you'll have a full dry box welded in place. 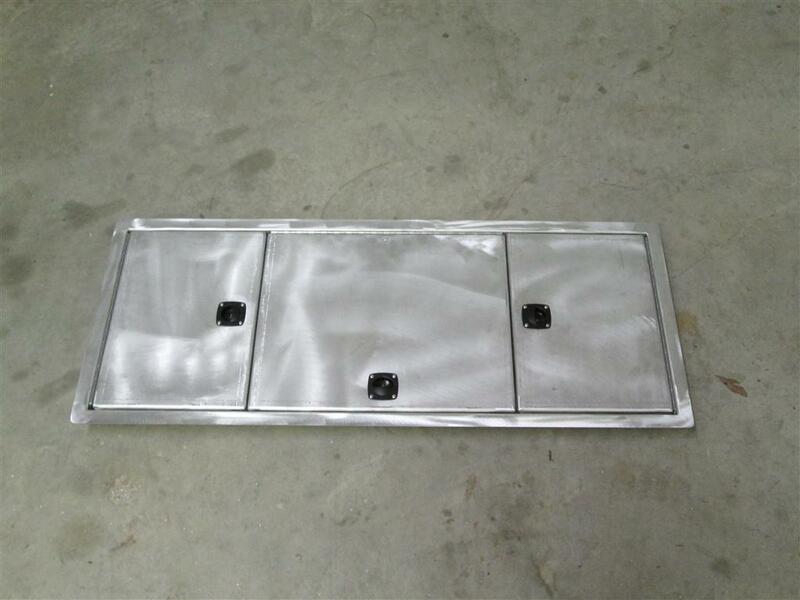 Lids can be either flat aluminum, or tread plate. 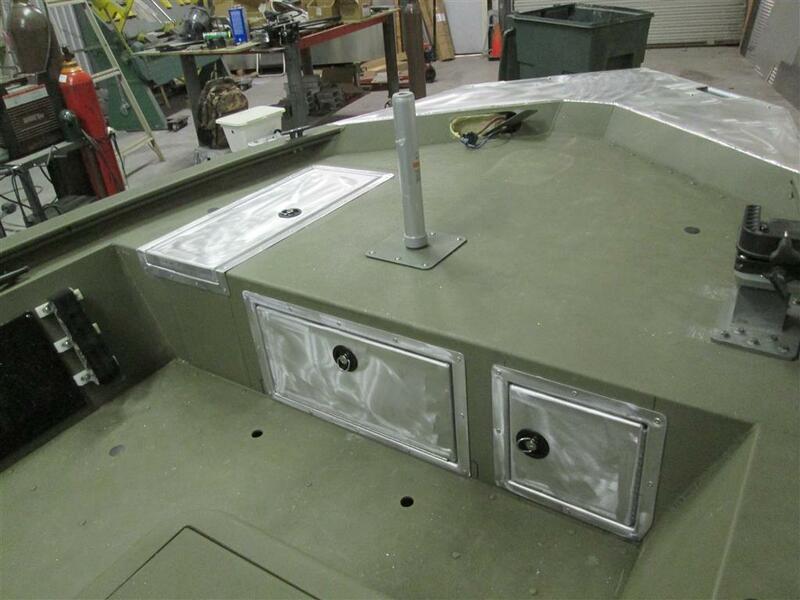 Many boats have fiberglass deck lids, which start to crack after a few years, as seen in this photo. 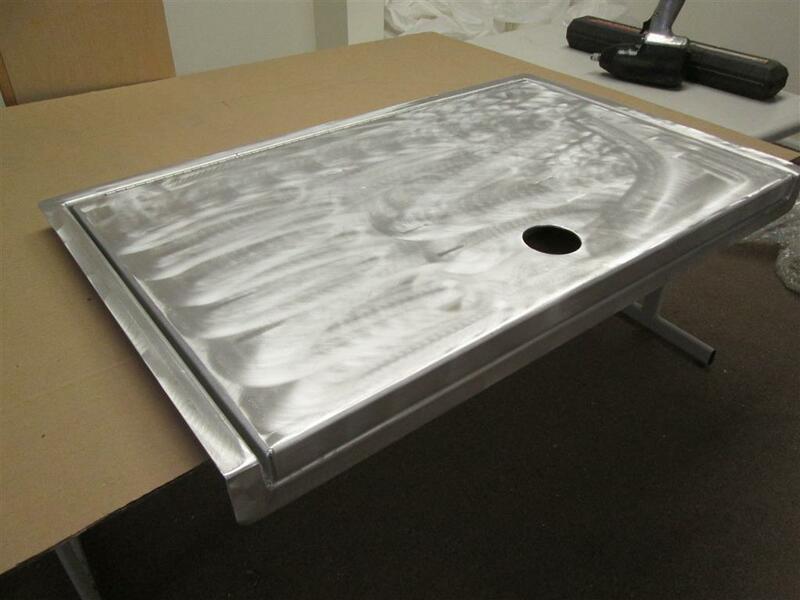 We can help by fabricating new aluminum lids, which won't degrade over time. 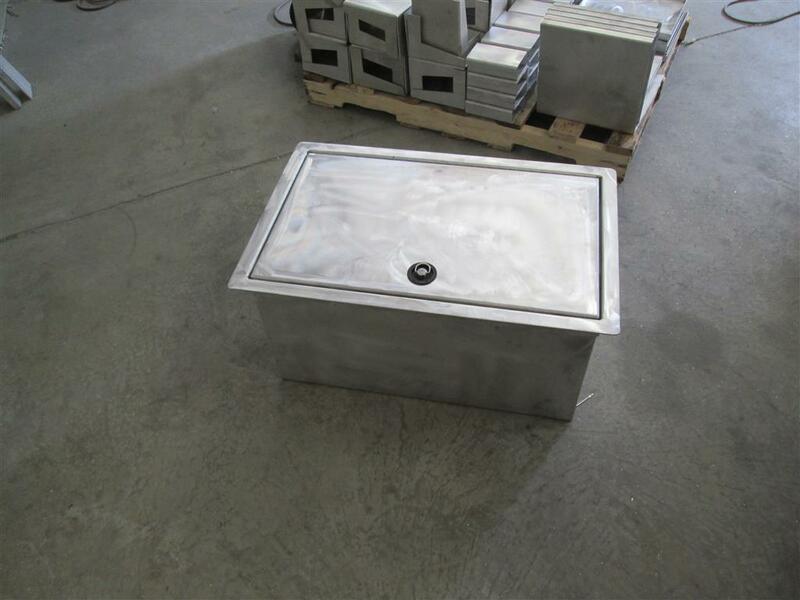 FishOn Fabrications can produce both simple rectangular lids and odd shaped lids, as seen to the left. Please email for price. Simply provide approximate lid sizes and shipping zip code for a price quote.